racketboy.com • View topic - Mortal Kombat X - New Ermac concept art! Re: Mortal Kombat X - New Ermac concept art! I just found out that they are offering an "XL Pack" for those with the base game. It includes Kombat Packs 1 & 2 plus a few other skins for $25. That isn't too bad considering the first Kombat Pack started at $30. I'll likely snag it when it goes on sale. I still feel bad for PC users though. They really got the short end. bmoc wrote: I still feel bad for PC users though. They really got the short end. well Ed Boon has (basically) confirmed that XL will be coming to PC after all. noiseredux wrote: well Ed Boon has (basically) confirmed that XL will be coming to PC after all. But will it be a free upgrade for those that bought the original broken game? I sure hope so. bmoc wrote: But will it be a free upgrade for those that bought the original broken game? I sure hope so. I can't imagine that the DLC would be free considering all the other added characters cost money. I don't care - I just wanna play as a Xeno, man! 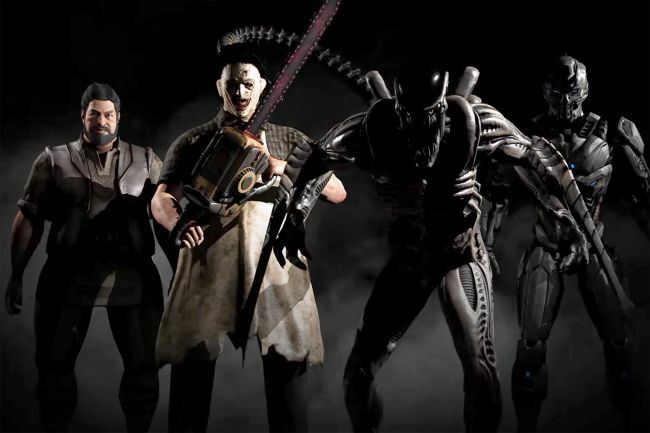 I am so happy that I will now be able to play an AvP fighting game.